Hello and welcome to the first installment of Screen to System. In this recurring series of articles I’m going to take my love of TV, movies and the screen and translate it to my love of table top gaming. In each installment we’ll take a look at a different series or movie and try and pin point what systems would work best to emulate it at the table. We’ll base this on the media’s genre, overall feel and general concept. For the tabletop systems we look at we’ll try and find mechanics that work well for the media as well as overall feels that match up design wise. In the end we’ll hopefully end up with some decent options for you to play that have the general feel of the piece of media in question. 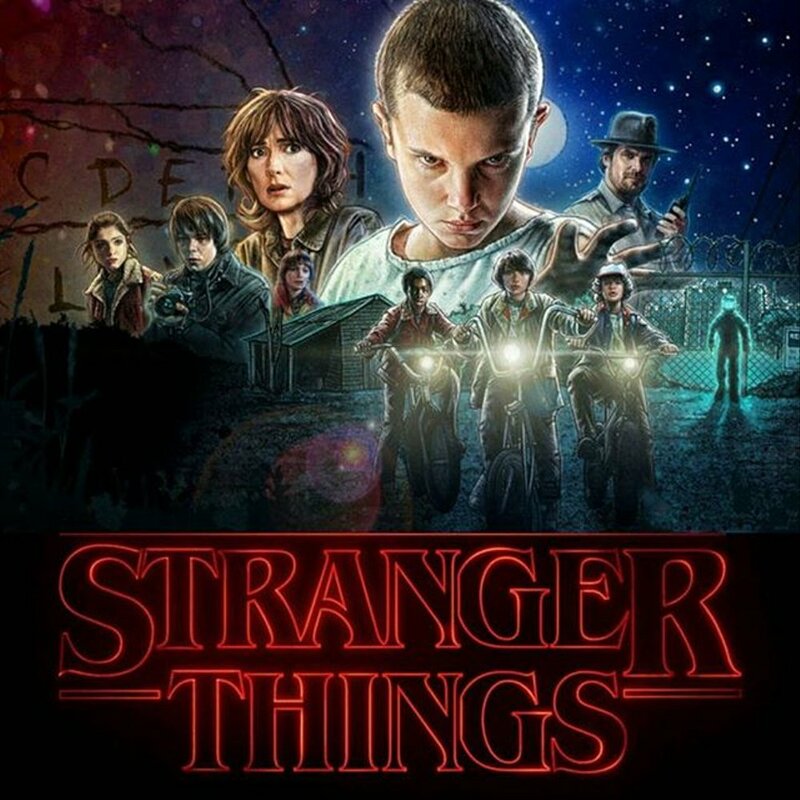 In light of it being October, I thought it would only be fitting to have the first installment of Screen to System look at one of the most tabletop influenced shows in popular culture today, Stranger Things. This sci-fi thrill ride puts a younger group of heroes in the spotlight. There is an ever pervading theme of mystery as well as exploration of the alien and unknown. At the same time, Stranger Things is constantly telling a very human story with relatable and human elements to it. Fans of Stranger Things will not be unfamiliar with the heavy ties it has to Dungeons and Dragons. The many creatures that the characters confront within the show adopt the names of some of the most iconic D&D monsters out there. While it’s certainly possible to imagine a straight up D&D game structured around Stranger Things, I posit that there are several other choices that are stronger candidates for emulating the show’s grim realities with the very human and light hearted undertones. Based on the art of Simon Stålenhag, Tales From the Loop was kickstarted near the end of 2016. Coincidentally this is right around the same time that Stranger Things first premiered. In Tales From the Loop players take up the role of children growing up in an alternate version of the 80’s where science advancements have propelled the world around them rapidly into futuristic levels of technology. The premise alone of playing as average kids interacting with these fictional sci-fi elements matches Stranger Things almost blow for blow. Tales From the Loop also handles the human side of things very well. With an emphasis on the role playing aspect of the story telling, the character creation and method of storytelling is almost a step by step guide to mimicking the depth of the more personal stories in Stranger Things. Tales takes the top spot in my mind if you want to play a game that feels like your own version of the show with a slightly heavier sci-fi feel to it. This system is the only entry on this article that I haven’t played, but I felt the need to include it due to the pure fact that the goal of this system is to basically be Stranger Things in table top form. Advertised on their website as “Everyday people grappling with strange, terrifying, and very, very powerful forces that they cannot defeat, control, or even fully understand.” The system seems to really echo the horror aspect of Stranger Things in design and aesthetic. One of the accessories is even a deck of cards to help run a powered individual to help your party against the evils they encounter, echoing Eleven from Stranger Things almost verbatim. It could be argued that I should have read up on this system before writing this article, but I would say that this is the only system on the list that I want to try BECAUSE of Stranger Things, rather than seeing the potential it has to echo Stranger Things. When the day comes that I actually get try Kids on Bikes, you’ll all get a full review of the system. I myself consider this final entry on this list a bit of a cop out, though I’m sure I’ll be using it again in the future. Fate Core is an incredibly versatile system with a focus on cooperative story telling over mechanics and rules. Fate hits a nice balance of free form storytelling and mechanical restrictions that meshes well with a Stranger Things like story. Characters aren’t completely helpless, and certain characters will have extremely useful talents in the right situations. You’ll have your baseball bat wielding Steve Harrington but also your resourceful and tech savvy Lucas. At the same time, its loose nature allows for games to explore the more human side of a Stranger Things like story and really dive into role playing situations for them. You’ll hear me say this time and time again, but Fate Core’s strongest aspect is the fact that it can be used for almost any setting or type of game, even a 1980’s rural America sci-fi / horror adventure.